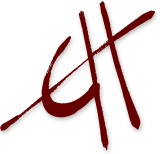 Find out about the most popular series created by Erin Hanson. 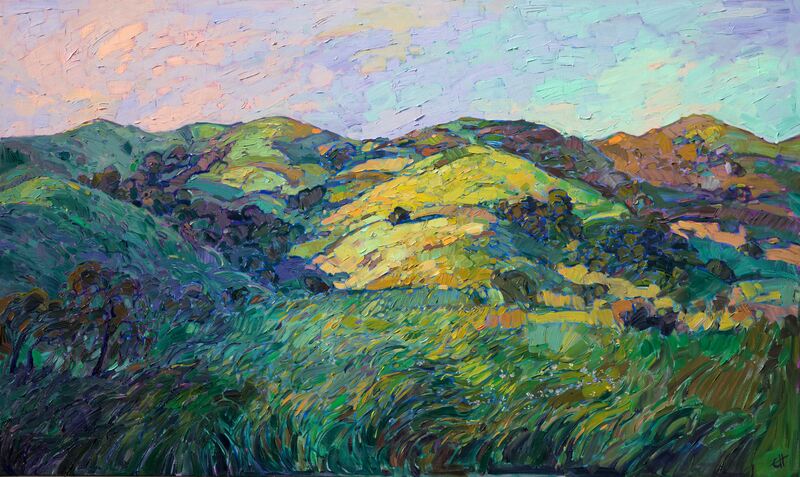 Erin Hanson’s Crystal Light series is one of her most popular series of works. 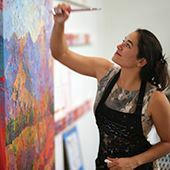 Each painting features a back-lit landscape and seeks to illustrate the drama and beauty that light can bring to the natural world. While all of the Hanson pieces boast a striking understanding of light and shadow, the Crystal Light series really brings this to the fore. Natural backlighting has always had a special place in art. Whatever the artist’s tools, every artistic medium has played with this type of light. Even outdoor theater seeks to capture backlit moments, arranging for actions to take place at particular times of the day, when the lighting is most favorable. Backlighting accents the natural beauty of people and landscapes, creating a play of light and shadow that can be difficult to see with the naked eye without squinting. Film (both still photography and cinema) often uses studio lights to mimic natural backlighting, although they are often not as golden or glorious as natural sunlight. This is where the “Crystal Light” idea comes in. If you have ever taken a photograph with a backlit subject, more often than not you will see refraction in the form of lens flares or overexposure. Your subject will also probably be in deep shadow, as the camera focuses on the sunlight rather than the subject. 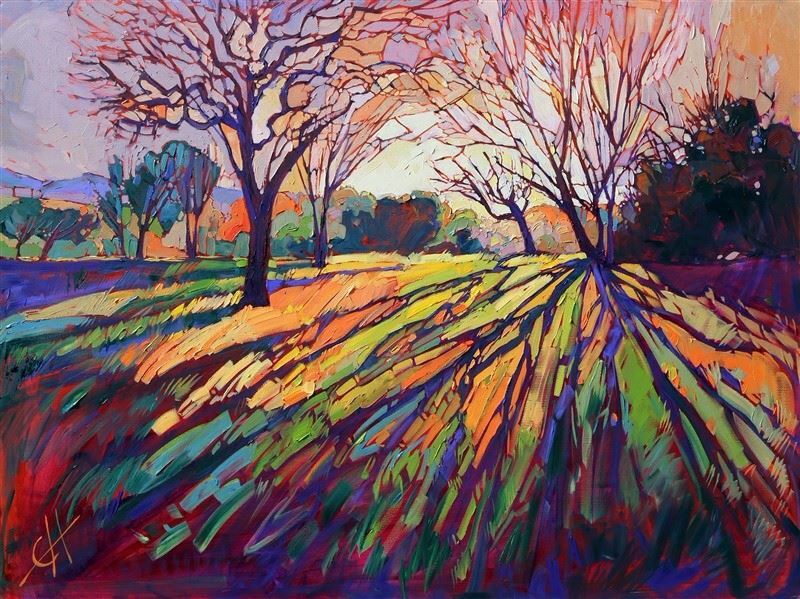 Erin Hanson takes these concepts and composes vivid paintings embracing the beauty encapsulated in a moment of backlighting and that special glow created by the sun’s rays. Impressionism has always worked to explore the interwoven threads of light and shadow, and the Crystal Light series is a culmination of this exploration. If you haven’t seen Hanson’s Crystal Light paintings, be sure to take a look at them here.